Attain skillful training in TEFL / TESOL and experience the best of Thai Culture all at once in Koh Samui. 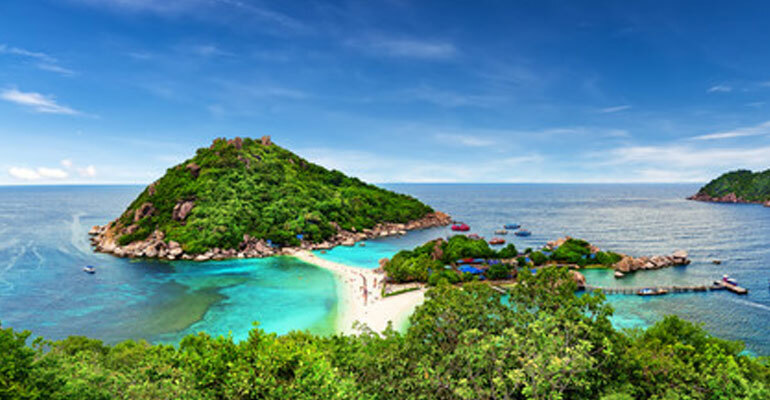 Known for its luxurious holiday setting, Koh Samui is a travellers dream. The program in collaboration with the location is set to introduce you to a pool of lucrative interactive and professional opportunities. With GTA’s 150 hours TEFL Course in Koh Samui, prepare yourself for a thriving career as an EFL / ESL educator. The 4 weeks training covers classroom training, peer teaching practices, national and international interactions and most importantly practical teaching experiences. All these come together to produce a wholistic training program that is the ultimate backdrop for your upcoming global career as a teacher or a trainer. The session comprises Grammar and Phonology. Grammar will include awareness of the basics of English Grammar and how to teach grammar, whereas Phonology will cover stress, rhythm, intonation and the speech organs. This session will help the trainee understand what helps and hinders the language learning process and what it feels likes to be in a language learners’ shoes. Trainees will be expected to observe 2 Teaching Sessions and write reports on them. These will also help them to observe a model lesson before their own teaching practice. Teacher trainees will have 6 teaching Practice classes which will be observed by trainers and the trainees given feedback on them. They will also self evaluate and peer evaluate these Teaching Practice classes helping them to reflect on their own teaching and those of others. "GLOBAL TRAINING ACADEMY LTD is registered by the "Registrar of Companies for England and Wales",with Company Number 9546663 with its registered office at 120 Baker Street, London W1U 6TU, United Kingdom"